One of the perks of living in Southern Space is having access to their amazing (and super cheap) seafood. Our local supermarket has a massive fish counter and always has special offers on a wide range of products. 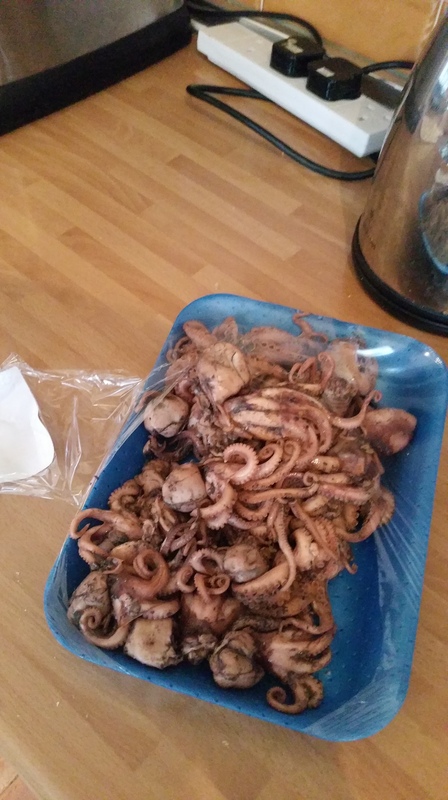 Last week we came across a whole load of baby octopus for just two euros. 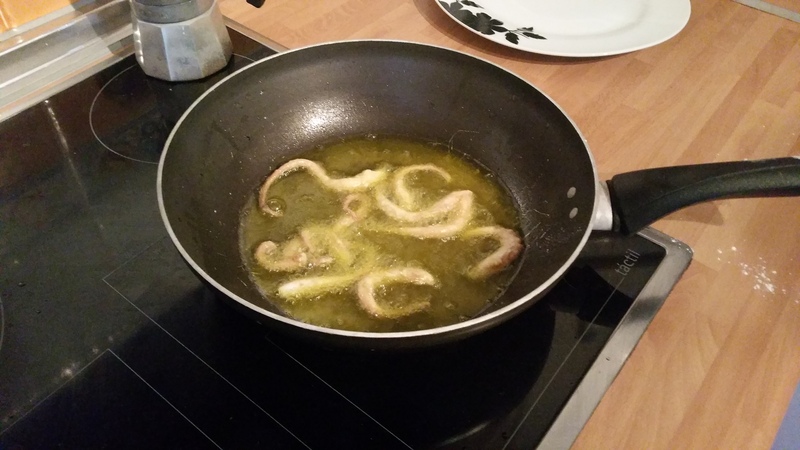 At that cost they were too good to pass up, so we bought them home and managed to rustle up fried baby octopus. 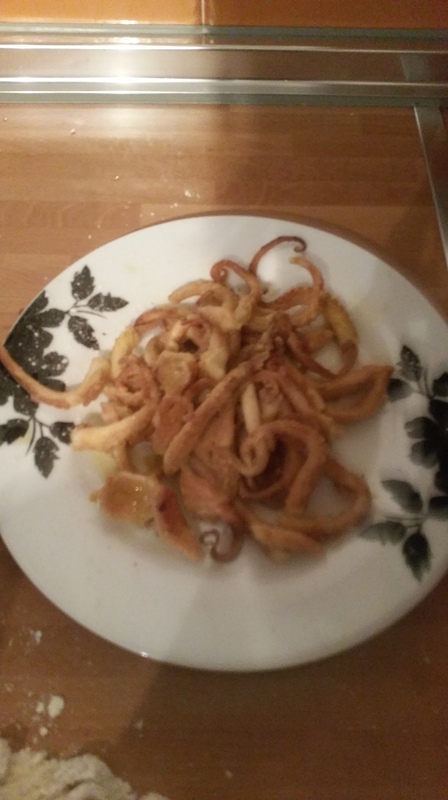 It wasn’t a bad go for our first time, so here I’ll share our four easy steps to cooking fried baby octopus from scratch. You’ll need to cut the head off, then you’ll be left with the tentacles. Here you’ll need to squeeze at the base of the tentacles in the middle and remove the guts – it feels like a small ball. Then cut the tentacles into smaller pieces and wash all the gross ink off under cold water. Now the tentacles are into smaller and more manageable pieces, as well as clean, you will be ready to prepare the octopus for frying. Simply use plain flour and cover your octopus sparingly. Now you’ve got your baby octopus covered in flour, simply fill your frying pan with oil. (We used olive oil, living in Spain and all!) 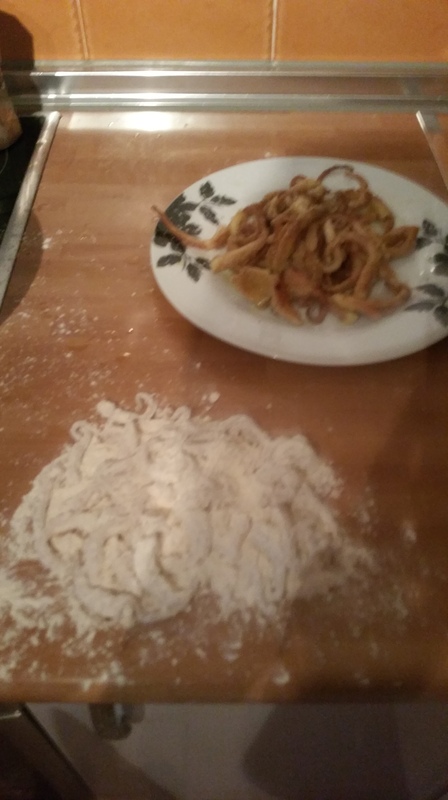 Add a couple of floured tentacles at a time and watch them fry until they’re golden brown. Make sure the oil stays really hot though, otherwise you’ll just get some weird oil/flour gloop. Once you’ve fried your baby octopus make sure to serve immediately. We served ours with a splash of balsamic vinegar and some salt and pepper. Enjoy folks!